Sales Note: All bidders/buyer MUST CONTACT us before bidding or buying, why?Repos4resale sells and represents equipment listed on this site and through other channels. Because there are potential “other” buyers Repos4resale cannot guarantee that this item will be available to the end of the auction time. 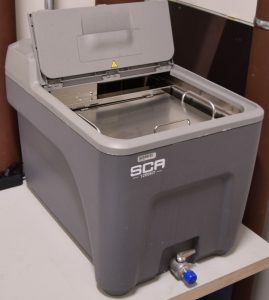 Repos4resale has just received a NEW Padt SCA-1200HT Support Cleaning Apparatus which dissolves support from 3D models. 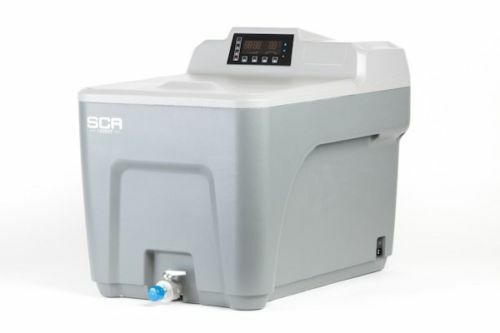 The SCA 1200 HT can dissolve support from all the SST- compatible materials you use – ABS, PC, and nylon. Images are stock. Ref# NP 7-26. These sell new for $3500 > Save $600 on this new unit! We have 3 of these units available. If you have specific questions about this item please feel free to me a ring anytime day or eve 7 days a week > See the 2nd picture in listing for important information in regards to this. SCA-1200HT is ideal for removing support material from bigger 3D-printed models. Its sizable basket can hold parts up to 254 x 254 x 304.8 mm (10 x 10 x 12 in). That means it can clean a single large part, or multiple smaller parts in its roomy tank – saving time when multiple projects are in the queue. Shipping Questions (ship cost shown is estimated) or detailed condition questions >> contact repos4resale. Make sure to look at all the pictures supplied. We do require buyer contact before making any purchase. See buyers notes above, thanks.